Google API lets you play with the core of Google system, by building queries, a client can access required data from various Google services, which can be used to build all types of Google based applications. 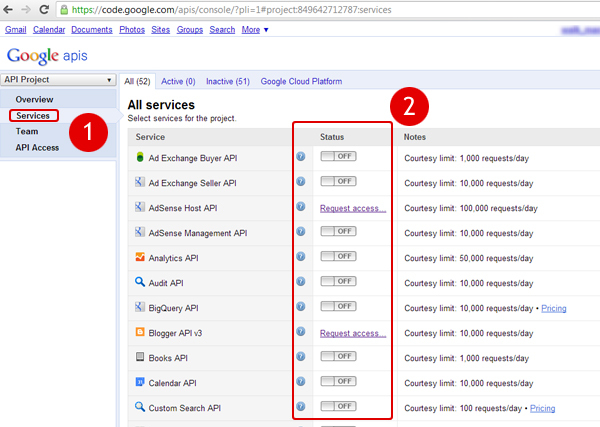 Before sending API queries, a client application needs Google API keys. 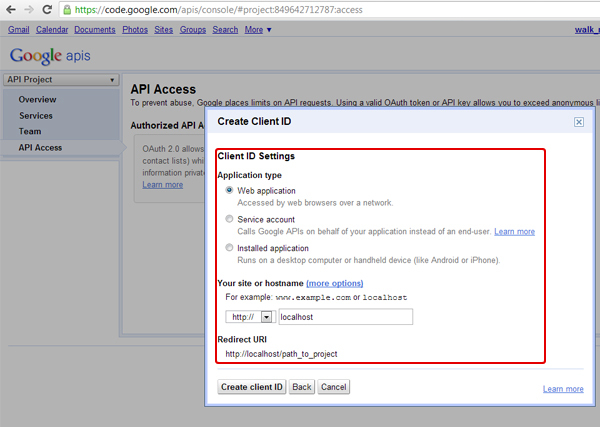 In this basic tutorial we will learn about obtaining Google API Keys and developer key from Google API console. 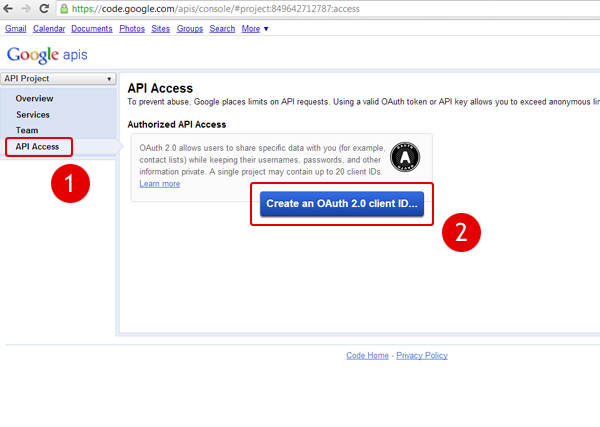 Sign-in to Google and go to Google API console, click API Access on the left sidebar, click big blue button “Create an OAuth 2.0 Cliend ID“. A box should pop-up, enter your Project name and Product logo (optional), click next. Next choose your application type, usually it is Web application for websites. 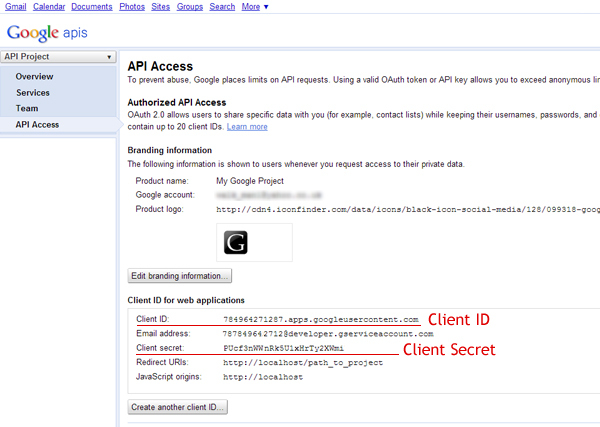 You should now be presented with Google Client ID and Client Secret on next page. You can use this information in your Google applications. 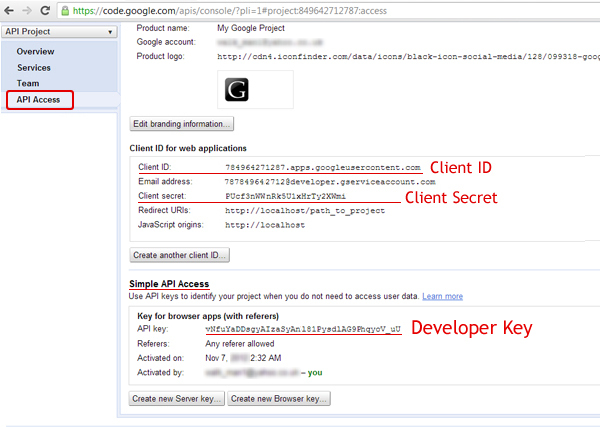 I am not sure why Google Developer key is required when you have obtained Client ID and Secret, but my assumption is that the Client ID and Secret is required to access Google user data, and to identify the project and to keep track of its requests Developer Key is required. Let’s see how we can obtain Developer key for your project below. Click on Services link on left sidebar. Click on any status button to turn it on. 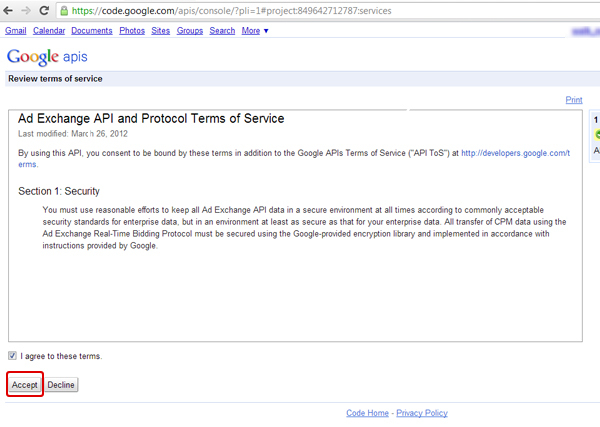 Google Terms of Services page should appear on the next page, click accept button to proceed. Now go back to API access list by clicking API Access on the left sidebar. 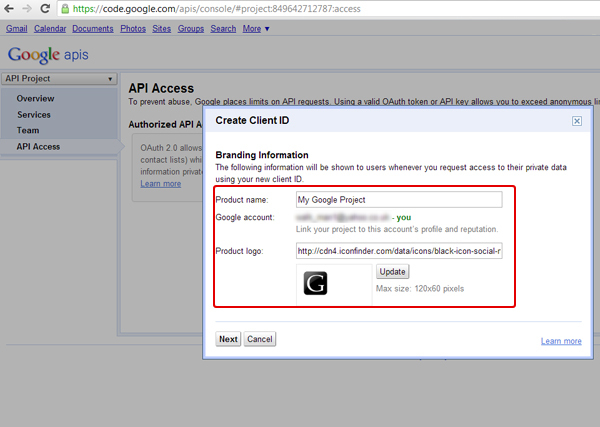 You should find another key listed below called Simple API Access. The API listed under it is your Developer key. Hope it helped, good luck.